Are You Facing A Murder Charge? Right now, you’re scared and panicking. You or a loved one are under investigation or have been charged with murder or attempted murder. With your future and life on the line, you need a highly qualified criminal defense attorney who will stop at nothing to make sure you are kept out of jail and remain with your family. As the founding attorney of Visco Law and a California State Bar Board Certified Criminal Law Specialist, I have the knowledge and experience to give you a fighting chance at winning your freedom or having the charges against you reduced to a lesser sentence. It’s important that you contact me as soon as possible so that I can advise you of your legal rights. Even if you believe the evidence is stacked against you, we can still develop a winning strategy. The sooner we talk, the sooner I can begin developing an effective defense on your behalf. I know how to outmaneuver the prosecution because I used to be a prosecutor. I’ve been up close and personal with the prosecutor’s “playbook.” I know the tactics and strategies they will try to use against you. Having this insider’s perspective has enabled me to achieve the best possible outcomes for clients facing murder and attempted murder charges. “Malice aforethought” means you meant to kill the victim without just cause or legal excuse, and did so with deliberate intent or a reckless disregard for human life. First degree murder is more serious than second degree. To be convicted of first degree murder, the prosecutor would have to prove that your decision to kill was deliberate, premeditated and carried out with malice. Second degree murder applies to any murder that is willful, but not deliberate or premeditated. Capital murder is the most serious and heavily punishable crime one can face in California. What is the “10-20-life ‘use a gun and you’re done’” law? If you are convicted of murder and there was a gun involved in the commission of the crime, years will be added on to your original sentence. Under California Law, attempted murder is an unsuccessful attempt to murder someone. If you intended to kill someone and took direct action toward killing that person, you could be charged with attempted murder. Examples would be stabbing or shooting someone, or hiring an assassin to kill someone. You can either be charged with first degree attempted murder or second degree attempted murder. Attempted murder is actually one of the more difficult crimes for prosecutors to prove. Even if you wanted or planned to kill someone, it would not be enough to charge you for attempted murder. The prosecutor would need to prove that you were in the actual process of putting your plan into action and murder would have been carried out if some outside force had not interrupted the attempt. There are several defense strategies we can explore in an effort to get the charges against you reduced or cleared altogether. If you were in a situation where you felt as if your life or another person’s life were in imminent danger, and you had no other choice than to kill the aggressor, the state’s self-defense laws may excuse your use of deadly force. Mistaken identity is the number one reason why innocent people get convicted. This often happens because witnesses to a crime are too scared, traumatized or stressed during the time of the killing to really get a good look at the perpetrator. It’s not uncommon for witnesses to misidentify the killer in a photo or live lineup. If you have an alibi during the time the murder was committed, we can establish that it wasn’t possible for you to have been at the crime scene. We can attempt to discredit police identification procedures, forensic evidence and eyewitness reports. We can demand another live line up, and have an identification expert testify in court. then you cannot be found guilty of murder. If you did kill someone but suffer from a mental disorder that impairs your ability to understand the wrongfulness of your conduct, you may be sent to a treatment center to get help instead of prison. 5th Amendment violations. If you were coerced into giving a confession or admitted to the crime without having been read the proper Miranda warnings – your confession will be inadmissible in court. 4th Amendment violations. If evidence was obtained through an unreasonable search or seizure without a warrant, we can file a motion to suppress and the evidence will be inadmissible in court. This may be a case of simply being at the wrong place at the wrong time. You may have been within the vicinity of where the crime occurred or known the person that committed the crime, but you did nothing to contribute to the murder. You would be considered simply a bystander. Depending upon the circumstances of your case, it may be in your best interests to enter into a plea-bargaining agreement with the prosecutor. This would entail agreeing to plead guilty to a lesser charge in order to receive a shorter prison sentence. If you have been charged with murder, your best chance at a lesser punishment would be to plead guilty to manslaughter. Manslaughter is killing without malice, but with a conscious disregard for human life. My argument to the judge would be that you did kill, but you did so in the “heat of passion” — a situation in which you were provoked in such a way that it caused you to stop thinking rationally. The charge of manslaughter would be more appropriate because you acted out of intense emotion rather than deliberate intention. The sentence reduction from murder to manslaughter is substantial, the difference being 25 years to life in prison versus 3-11 years. The criminal court process can be intimidating and overwhelming, but as your attorney, I will be there to guide you at every stage. Here is a brief overview of what you can expect from an arrest to a verdict handed down at trial. After your arrest, your first court appearance will be at the arraignment. 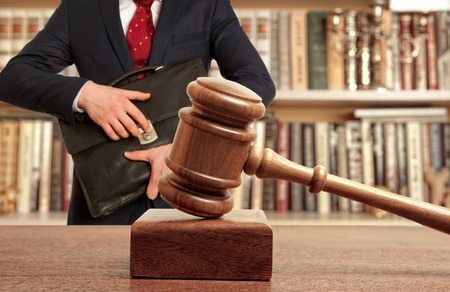 A preliminary hearing can best be described as a “mini-trial” in which the prosecution presents evidence and testimony before a judge to show that you had “probable cause” to commit the crime. Their goal is to persuade the judge to take your case to trial. I will have the opportunity to cross-examine witnesses and to challenge the prosecution’s evidence at the hearing. The purpose of this hearing is to find out if any of your constitutional rights were violated and to decide if certain evidence is inadmissible because of it. Did the police not follow proper procedures? Did the officer take statements from you without reading you your Miranda rights? Did the police illegally search your person, your home, your vehicle, any of your belongings? Throughout the arraignment, preliminary hearing or omnibus hearing you have the opportunity to reach into a plea agreement with the prosecutor to avoid trial. The jury in a California criminal jury trial is comprised of twelve members who represent a “cross section” of the community in which the charged offense was committed. You have the right to be presumed innocent until proven guilty beyond a reasonable doubt. You don’t have to prove your innocence, it is the state’s job to prove your guilt beyond a reasonable doubt. You have the right to confront and cross examine any witnesses testifying against you. You have the right to subpoena witnesses to testify on your behalf even if they don’t want to, it’s court ordered. You have the right to remain silent throughout your trial, and it cannot be used against you. You have the right to testify for yourself. If your case goes to a jury deliberation, you have the right to a unanimous verdict. The only way you can be found guilty and convicted of a crime is if the decision is unanimous. Don’t let murder or attempted murder charges in California rob you of your future or your life.